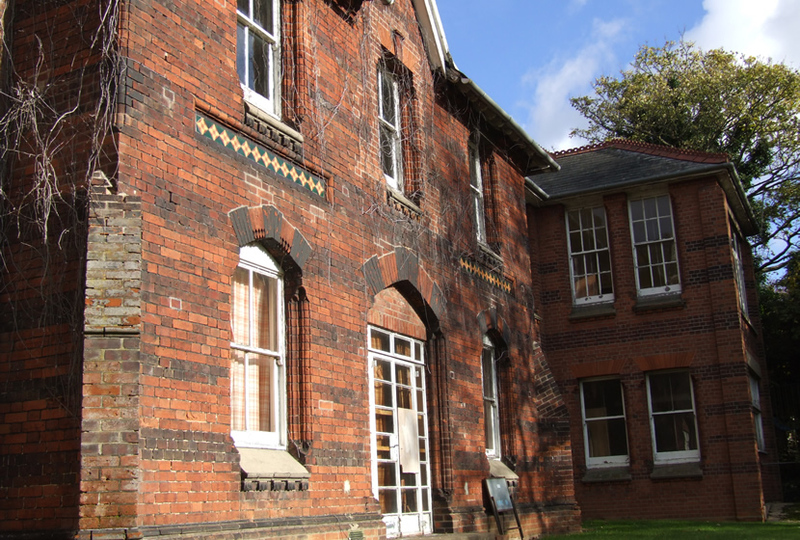 This proposed residential development is located within the grounds of a former Hospital of historical significance in Sudbury, Suffolk. 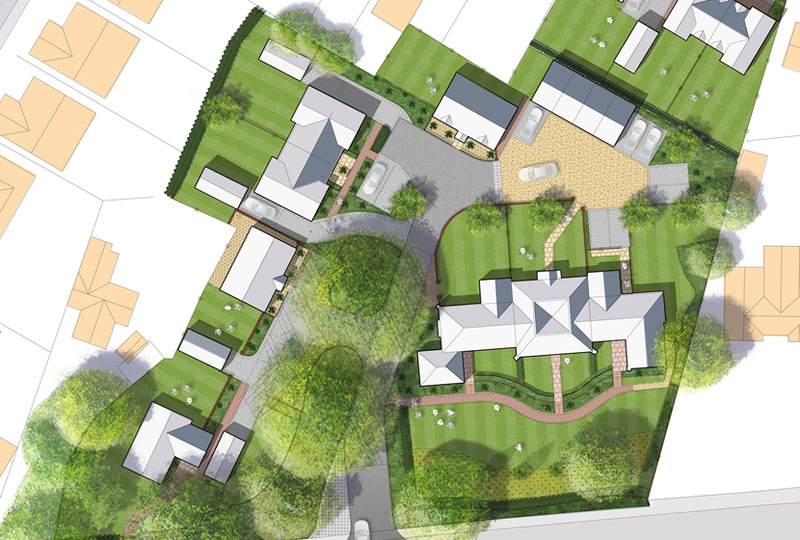 The landscape proposal was developed to gain outline planning permission prior to the sale of the site. 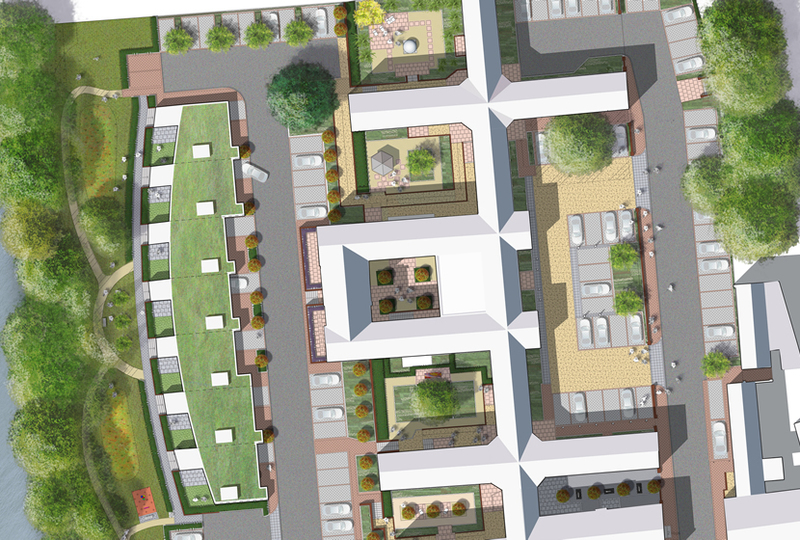 The scheme includes the conversion of the main Hospital building into apartments & the addition of a number of contemporary or traditional terraced houses, as illustrated with Option A & Option B. The design philosophy in relation to hard & soft landscape, is to retain the majority of the existing vegetation structure, whilst providing a number of interesting, contemporary courtyards, that contrast, yet respect the 13th Century building origins, within a majority Victorian hospital building. The six courtyards aim to provide a socially interactive & visually stimulating space; to be enjoyed from private balconies and terraces & from within individual apartments. Many courtyards are located at the top of steps or ramps with elevated views; some of which contain existing trees and hedges that are to be retained. The majority of courtyards are shaded by the building structure, thus careful plant species choice is essential to reflect these microclimatic requirements, providing a thriving green outlook.